We’ve found great deals at 888 hotels! Located in downtown Ningbo's central Haishu district near the Moon Lake Flourishing Garden, a new shopping and eating spot built among reconstructed traditional buildings, the Ningbo Nanyuan Hotel (Ningbo Nanyuan Fandian) is the first 5-star hotel in Zhejiang Province. It is only 15km (9 mi) away from Ningbo International Airport and less than a 30-minute drive to Hangzhou Bay Bridge. 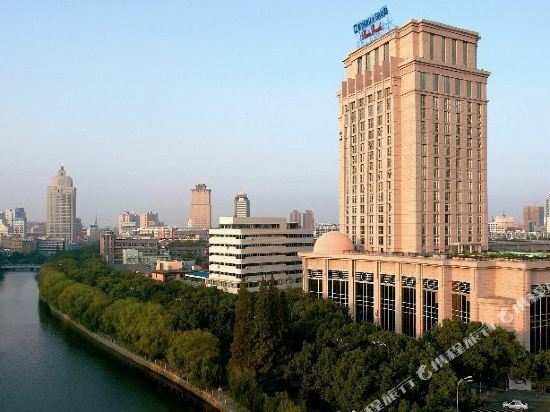 In 2007, it won the first "Five Star Diamond Award Hotel" in Zhejiang Province, and was awarded "The Most Influential Hotel in 30 Years of Hospitality Industry in China" in 2008. In 2010, it became the only hotel awarded "China Hotel Golden Star Award" in Ningbo (awarded by China Tourist Hotels Association). One of its three sections, the grand building, is especially designed according to the platinum five star standards, with thoughtful and individualized service offered by professional butlers. For hungry guests, there are a number of extraordinary Chinese and Western restaurants providing classic international food. Famed for its rich seafood, Vanilla Sky Restaurant has been ranked a top class buffet restaurant in Ningbo. The elegant and romantic Shanseliar Restaurant offers authentic Italian and French cuisine. Based on the amazing local cuisine, the Chinese Restaurant claims to offer the best Chinese culinary experience, while Imperial Garden Restaurant seeks to surpass all of these with its luxurious flavors. The meeting catering services as well as the spacious conference halls make this hotel a good choice for meetings and banquets. The International Conference Hall, covering an area of 2,100 sq m (22,604 sq ft), is the largest conference venue in Zhejiang. In addition, a wide range of advanced audio-visual equipment and professional service teams are available to make your event or meeting a success. When relaxing in the hotel, you can choose to have a tea break in the lobby bar, relax in the spa, swim in the pool or exercise in the gym. The New Century Grand Hotel Ningbo (Kaiyuan Mingdu Dajiudian) is located in Yinzhou New District, near Yinzhou Park, about 12 km (7.5 mi) from Ningbo Lishe Airport and 10 km (6.2 mi) from Ningbo South Railway Station. This Ningbo hotel features a lovely garden designed around camellias, the city flower of Ningbo. Guests wishing to dine in the hotel can choose from seven restaurants with different styles. At the lobby bar, guests can enjoy cocktails and delicious buffet meals prepared in the open-style kitchen. At the luxurious club on the top floor, guests can enjoy elegant, private dining space, while looking over the city. 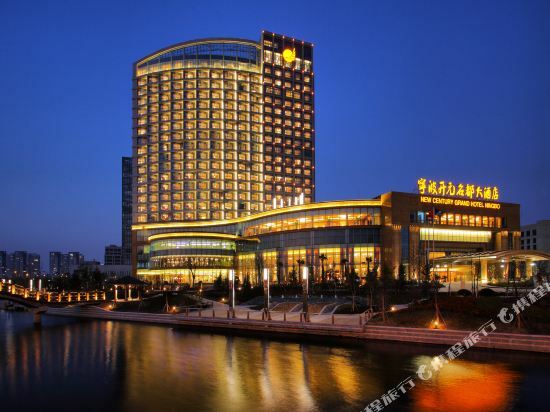 Ningbo's Fortune Bond Hotel (Ningbo Fubang Dajiudian) is located near the railway station and Yuehu Scenic Area. In terms of relaxation, guests can have drinks at the lobby bar, go to the beauty salon or play a game of chess and poker. Such facilities are also on offer as the business center and the multifunctional hall. The Citic Ningbo International Hotel (Zhongxin Ningbo Guoji Dajiudian) is situated in the heart of the city's financial and commercial center, within walking distance of Tianyi Square, Ningbo's retail shopping hub. Guests of this Ningbo hotel can enjoy views of the city's rivers from most of the rooms. There are a variety of comfortable and well-equipped rooms. All of them are outfitted with central air-conditioning, satellite TVs, VOD systems and private safes. The hotel also provides handicapped room and two non-smoking floors. Hungry guests will discover a delightful selection of food and beverage. Various flavors of Chinese and Western food are offered on the premises. The Roma Restaurant offers authentic Italian cuisine in a superb setting with spectacular river and city views. The lounge, bar and café are good places to gather with friends while enjoying a wide range of drinks and light snacks. Business travelers will benefit from five meeting rooms of various sizes and styles, all well equipped with state-of-the-art audio-visual systems. There are also two deluxe banquet halls with simultaneous interpretation systems. When it comes to recreation, guests can work out in the health club, go for a dip in the indoor swimming pool, play a game of table tennis or billiards in the game rooms, entertain in the private karaoke rooms or browse the convenient shopping arcade. 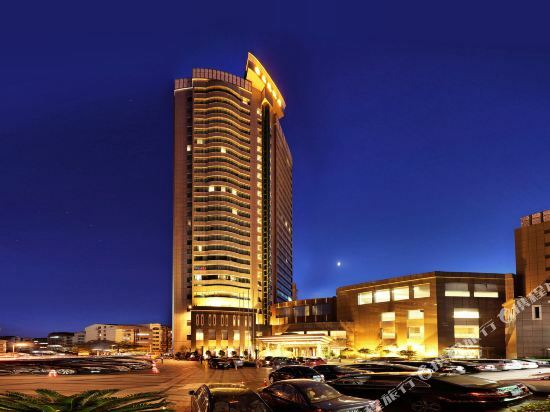 The Howard Johnson Plaza Ningbo (Huaqiao Haosheng Dajiudian) is located in the city center and is a mere fifteen minutes to Tianyi Square and twenty minutes to the Ningo Lishe International Airport via car. In addition, the hotel is also right next to the lovely Moon Lake and the Tianyi Pavilion, the oldest library in China surrounded by traditional gardens. This Howard Johnson branch emphasizes in customer service, placing in 22th place for the best hotel in China by TripAdvisor and 6th in another list of best hotels by DaoDao.com, so guests can expect to be treated well during their stay. Guestrooms are spacious, elegant and comfortable, exuding both a classy and modern charm. Along with being visually appealing and relaxing, the room is equipped with the modern amenities, such as broadband Internet access, a "Rainforest" shower and a variety of choices for pillows and mattresses. There are multiple dining options guests can choose from, so the biggest question is this: what do guests want to try? There are two restaurants that feature Chinese cuisine, ranging from Sichuan to the local flavors of Ningbo. For something not as up-scale, there are delis and cafés where guests can enjoy a drink or a snack. Business travelers can rest easy: A business center is open with the necessary services to assist with any guest's needs. Besides the center, there are also many different meeting and conference rooms that can be used for any event, all equipped with the basic conference facilities and with the help of event professionals. As for recreation, guests can simply exercise in the fitness center, take a swim in the pool, or browse through the boutiques located within the hotel. In addition, the front desk is ready to assist guests with planning any particular trip outside of the hotel. 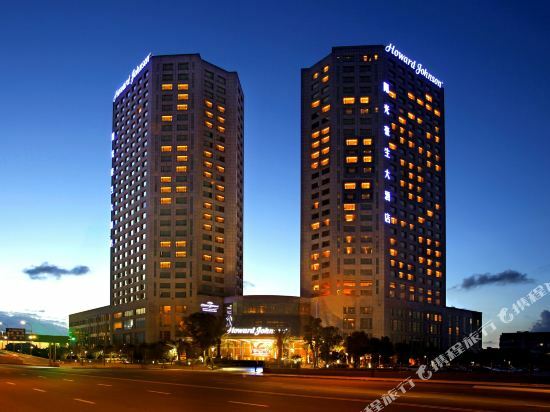 The Howard Johnson Sunshine Plaza Ningbo (Ningbo Yangguang Haosheng Dajiudian) is an eight-minute drive from Ningbo Lishe Airport and a short drive from downtown Ningbo. This property offers a variety of rooms kitted out with all the usual amenities such as IDD phones, mini-bars, in-room safes and Wi-fi. A banquet hall suitable for conferences and other events is located within this Ningbo hotel. Five onsite restaurants and bars serve Chinese and Western fare, while 24-hour in-room dining is available. Leisure options include a spa, gym, indoor swimming pool and billiards facilities. 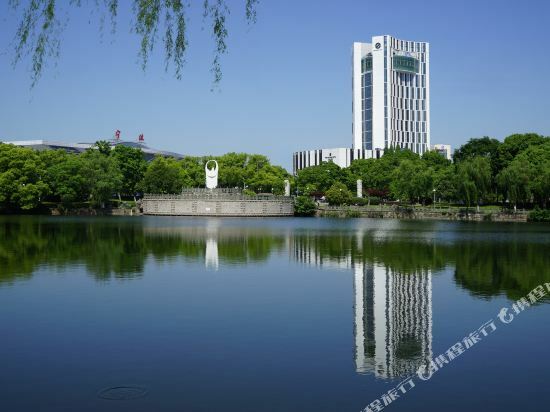 Ningbo is made up of the city proper as well as surrounding cities and counties. These counties and county-level cities quite far away, but they all have their own charm. For tourists from Jiangsu, Zhejiang and Shanghai, they are good destinations for a weekend tour. The Haishu District, from the Moon Lake to the Sanjiangkou, is the oldest part of Ningbo and the most important and prosperous area. Tianyi Pavilion, Town’s God Temple and Tianyi Square are all located in this area. In the suburbs, attractions such as Dongqian Lake, Zhaobaoshan Mountain, and King Ashoka Temple can be found. The cities of Cixi and Yuyao are located in the northwest of Ningbo. The former includes Hangzhou Bay and Dapeng Mountain, while the latter is home to the Hemudu site, where visitors can learn more about the origin of Ningbo. Fenghua and Ninghai Counties are located in the southwest of Ningbo, the former known for being the hometown of Chiang Kai-shek. The latter has the Zhedong Grand Canyon and Qiantong Ancient Town, which are unique and worth a visit. The famous seaside area, Xiangshan, is located on the southeast coast of Ningbo. The oldest and most famous collection of books in China, which is located in the Tianyi Pavilion, as well as the Ningbo Old Bund in Sanjiangkou are the landmarks of the city. Ningbo has two famous lakes - Moon Lake and Dongqian Lake. Whether you’re taking a walk around Moon Lake or rafting in or cycling around Dongqian Lake, all are good choices for tourists. The surrounding attractions in Ningbo are scattered, so you can choose to explore according to your personal preferences and time. Visitors may be interested in heading to Fenghua Xikou to see the former residence of Chiang Kai-shek, climbing Xudou Mountain, going to Ninghai's Qiantong Ancient Town and Zhedong Grand Canyon, or heading to Xiangshan's Shipu fishing port. Ningbo has a climate typical of the Jiangnan region of China, with distinctive four seasons. The spring and autumn are the best seasons for travelling because of the pleasant temperatures, while the period from May to October is a great time to head to Xiangshan and enjoy seafood. Xiangshan has a famous fishing port in Zhejiang, the Shipu Fishing Port, and it is also a seaside resort in the summer. In June, visitors can go to Cixi to pick bayberries and drink wine made from them. 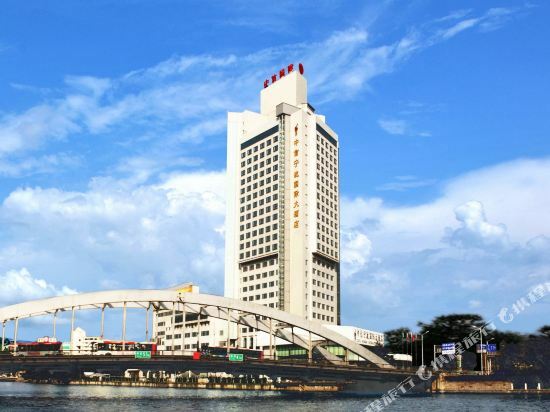 The hotels in Ningbo’s city center are mostly located in Haishu District. Many choose to stay near Tianyi Square and Chenghuang Temple because many different types of hotels can be found there. There are not only cultural attractions like the Tianyi Pavilion, but also shopping malls and snack streets. Jiangbei District is home to many old buildings, as well as bars and cafes. The Old Bund is also located here, and checking out the night scenery of the Minjiang River is a favorite pastime of young people. Unfortunately, there are not many hotels in this area so people often travel back to Jiangbei or Haishu for accommodation. Fortunately, the city’s transportation network is developed and it’s convenient to get around. Ningbo hotel information & deal: Check out room rates, photos, a map and reviews of hotels in Ningbo and find the best deals on Ningbo hotels. Trip.com offers big savings on online reservations for Ningbo accommodation. Book Ningbo vacation packages and Ningbo tours with huge discounts on Trip.com!